IN THE NEWS: What Are Poppy Seeds Good For? The poppy plant (Papaver somniferum) is infamous for numerous reasons; one of them being that it is the source of opium, a highly addictive narcotic. But despite its notoriety, the poppy plant is also the source of one of the most loved pastry ingredients in the world: poppy seeds. They are well-known for adding a crunch to various confections and desserts. Poppy seed oil, which can be used as both a culinary and a medicinal oil, can be extracted from them as well. 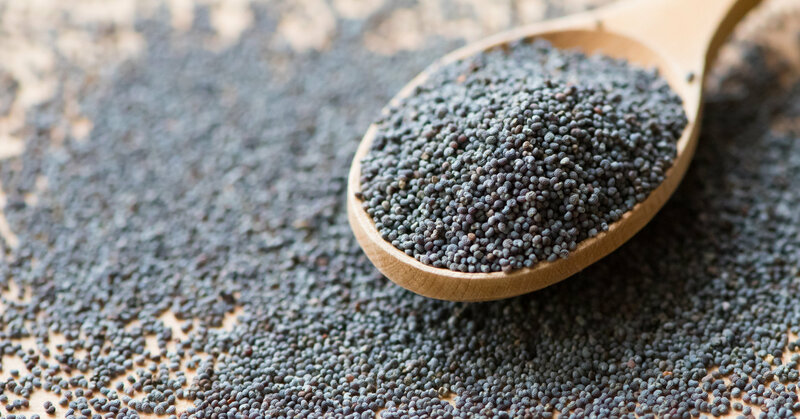 Being a product of a relatively infamous plant, the health benefits of poppy seeds have been questioned time and time again. People fear that the seeds may cause the same narcotic effects that other poppy products give. However, poppy seeds actually offer impressive nutritional components that can help your body improve or maintain optimal function. The health benefits of poppy seeds include the following: Aids in the prevention of heart disorders. Each serving of poppy seed contains a considerable amount of linoleic acid, an omega-6 fatty acid that offer protection against heart disease.8 However, it should be noted that excessive amounts of omega-6 fatty acids can still cause detrimental effects on the body. A healthy balance of omega-3 and omega-6 fatty acids is highly recommended to maintain heart health. Supports bone maintenance and development. Poppy seeds contain both iron and phosphorus, minerals essential for the maintenance of both muscles and bones. Prevents constipation and other digestive problems. Poppy seeds have high amounts of dietary fiber, which aids the digestive system in metabolizing and smoothly processing ingested food, preventing constipation and other digestive problems. Enhances brain function. Calcium, iron and magnesium are minerals needed by the body to regulate brain activity and the development of neurons. They also aid in the production of neurotransmitters. Assists in red blood cell production. 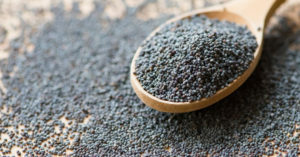 The abundance of copper and iron in poppy seeds improves red blood cell formation, which helps in the prevention of anemia and other blood-related conditions. Helps deal with sleeplessness. Taking a teaspoon of poppy seed oil before going to bed has been observed to help ease the symptoms of insomnia by promoting relaxation. WELLNESS: 4 Times Better Than Beets for Increasing Nitric Oxide and Lowering Blood Pressure is a relative of the cruciferous family, which includes radishes, cauliflower and broccoli. Like other members of this family, it contains a number of medicinal nutrients, including cancer-fighting compounds. It’s an excellent source of fiber, vitamins A, C and K, folate, calcium, iron, magnesium, phosphorus, potassium and manganese. Arugula also provides high levels of protein, thiamin, riboflavin, vitamin B6, zinc, copper and pantothenic acid (vitamin B5). 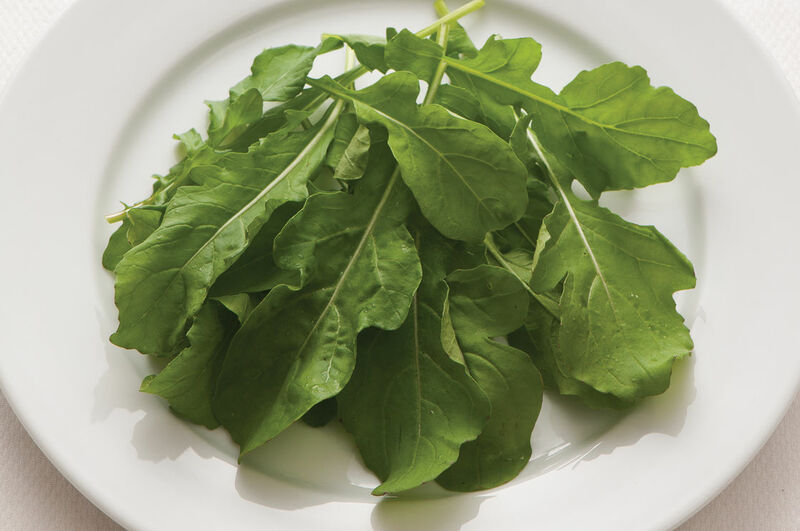 Arugula contains the highest amounts of nitrates of any vegetable. Your body uses the nitrates in food as raw material to make nitric oxide, which supports healthy blood vessel function, blood pressure and mitochondrial health. Easy to grow, arugula can be grown in your garden to maturity in about 40 days, or harvested after just a week or two of growth, when nutrients are at their peak. Arugula9 is a cool season crop, and can be added to your fall garden plantings. It’s forgiving in that it can tolerate low-fertility soils and frost, and is really easy to care for, although it does best in humus-rich soils with a pH between 6 and 6.8. Seeds germinate best at temperatures between 40 and 55 degrees F. Plant your seeds directly into your garden bed, but avoid planting them in a spot where you just harvested another cabbage family crop. CHIROPRACTIC: CHIROPRACTIC: EMOTIONAL WELL BEING AND BEATING ADDICTIONS A few years ago, Dr. J.M. Holder researched effects of auricular therapy (a form of acupuncture stimulation to the ear – a technique we have used here at Keefe Clinic since 1980). You may have read about that study in the papers then – it indicated that auricular therapy was the most effective therapy for drug addictions of the 178 government-approved therapies at that time! This study was released in the early 1990’s and has started to revolutionize drug addiction programs across the country. Now to his next study: Dr. Holder reasoned that the effects demonstrated in the first study described above dealing with problems with the limbic system could be tied in to the effects that subluxations have on the nervous system. He knew that the limbic system is not just a compartment hidden in the center of the brain, but it also extends down the “dorsal horn” of the spinal column. He decided to test to see what Chiropractic adjustment intervention could do with this particular system of the nervous system. This is what is called the “brain reward cascade” is a scientific model that has the vertebral motor unit as its common denominator which provides an understanding to the neurophysiological mechanism on how the meso-Limbic system expresses a state of well-being. Therefore, a subluxation-free spine is mandatory to express one’s greatest potential. At the end of that study, the results were astonishing, even to Dr. Holder. After compiling all the data, he found that the combination of Chiropractic adjustments with counseling therapy approach to addiction and compulsive disorders produced far better results than any other test results for any other government-approved technique now available. His conclusion: for the 180 different addiction disorder techniques that have been tested, Chiropractic now proves to be the most effective, even more effective than the use of auricular therapy found previously so helpful. This means that: Chiropractic care, coupled with proper nutrition, electro-stimulation of points in the ear, and counseling is the best help currently available for individuals who have addictive-compulsive disorders. FUNNY BONE: What lights up a soccer stadium? A soccer match. @@A Mexican magician tells the audience that he will disappear on the count of three. He says, “uno, dos…” *Proof*… He disappears without a tres. @@I just left my job. I couldn’t work for the man after what he said to me. What did he say? “You’re fired”@@ what do you call a snobbish criminal going down the stairs? I don’t know. What? A condescending con descending. @@I threw a boomerang a few years ago. Now I live in constant fear. @@What time is it? I don’t know. It keeps changing. @@If a child refuses to take a nap, is he resisting a rest? @@Did you hear about the restaurant on the moon? Great food, no atmosphere. @@“What time did the man go to the dentist? Tooth hurt-y.” @@The shovel was a ground-breaking invention. This entry was posted in News and tagged acupuncture, Addictions, Back Surgery, Dr. keefe, Natural Healthcare, tulsa chiropractor by DocJohn. Bookmark the permalink.